Gogamedi fair is held from the ninth day of the dark half of Bhaadra (Goga Navami) to the eleventh day of the dark half of the same month. Gogamedi Fair 2017 is being held from August 16th to 18th. India is often called the land of festivals and rightly so. Rajasthan with its rich legacy and culture is renowned for its lavish fairs. 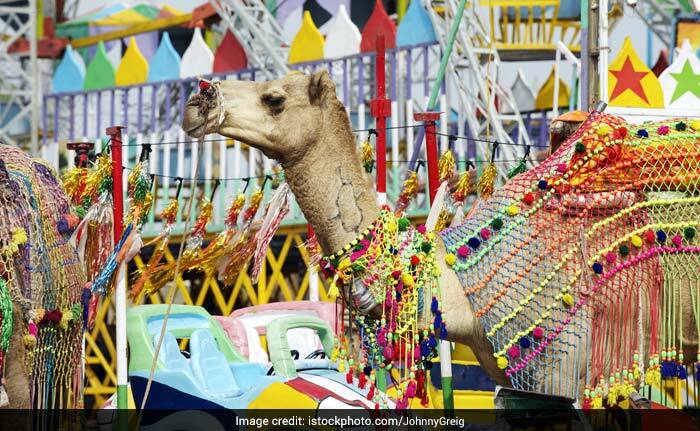 Be it the Pushkar fair, the famous Gangaur Mela or the Mahavir Mela, Rajasthan is brims with festivities all year round. One such widely celebrated fair in Rajasthan is the Gogamedi fair which is held in August or September at Gogamedi, in memory of the local deity Gogaji Maharaj, a Chauhan Rajput from Dadrewa village in Churu district. The fair is held from the ninth day of the dark half of Bhaadra (Goga Navami) to the eleventh day of the dark half of the same month. The fair goes on for three days with much fervor and enthusiasm. Gogamedi Fair 2017 is being held from August 16th to 18th. It is a renowned traditional Rajasthani cattle and handicraft fair, where Rajasthani artisans, craftsman and farmers showcase their pieces and crop produce for sale. 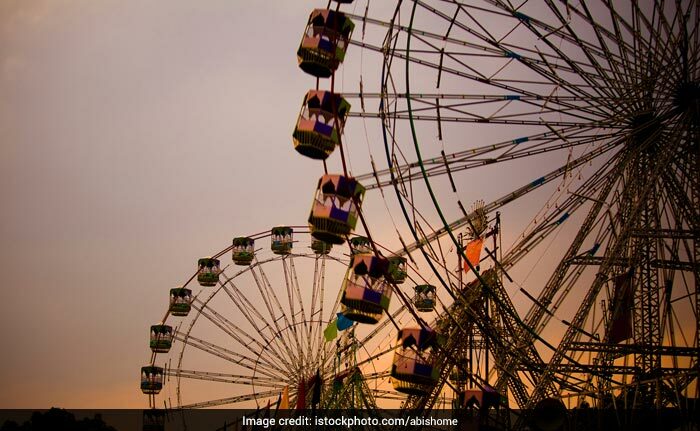 Fun games, rides and cultural performances by local musicians and dancers further adds to the lively vibe of the fair. It is also considered to be a major animal fair in the region. Merchants dealing in animal trade come over to the Gogamedi village for trading of animals like camel and other cattle. 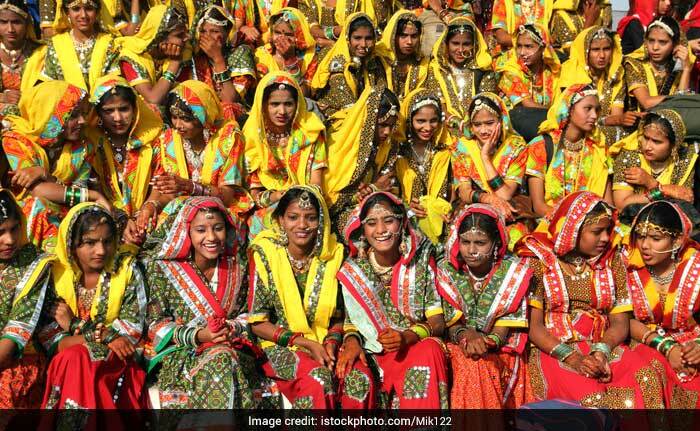 Devotees from across Rajasthan and neighbouring states flock to Gogamedi to be part of the unique fair. Devotees usually dressed in bright hues of yellow, offer Goga Ji Maharaj special delicacies and food items prepared with honey, sugar and coconut. It is believed that Goga ji Maharaj was very fond of sweets. Devotees also light incense sticks, offer coconuts and sugar drops at the samadhi. Priests perform prayers at the samadhi of Gogaji. The fair has many Rajasthani delights, from choicest pickles, and snacks to chutneys from local villagers from across Rajasthan up on display. The temple of Goga Ji Maharaja holds special significance for the devotees, these devotees are known Purbiyae in local language. Devotees come dancing and singing hymns of the legends of Goga Ji Maharaja. Goga Ji Maharaja was a revered King also known as Jahar Veer Goga. The regional deity is worshiped in the northern states of India especially in Rajasthan, Haryana, Uttarakhand, Punjab region and Uttar Pradesh. He is one of the warrior-hero of the region, also worshipped as a saint and the 'snake-god'. Gogaji is believed to be the son of a Chauhan rajput Ruler named Jewar, whose wife Bachal was from Tuar clan. Gogaji was born upon blessings given to Queen Bachal by Guru Gorakhnathji, who gave a 'Gugal' or 'Guggul' as prasad to Goga's mother Queen Bachhal. Since the fruit of 'Gugal' was the reason behind his birth, he was referred as Goga. Another popular legend that is associated with his name has to do with his love for cows, also called 'Gau' in Sanskrit. It is said that Goga Ji served and looked after cows with a lot of devotion. He built seven big cowsheds in his kingdom and those cowsheds housed over seven thousand cows, which earned him the name 'Goga Ji'. The warrior king was a respected and loved king across the village. The territory of this great ruler extended from Hansi to Garra(Ghara) and his capital was Mahera on that river, much to the ire and jealousy of his cousin brothers Arjan and Sarjan, who with King of Anganpal of Delhi conspired to kill Goga Ji after kidnapping his wife Shreeyal. On learning about their evil intentions, Goga Ji killed his brothers. The action caused an uproar in the entire kingdom, with Goga Ji's mother pledging not even to see her son's face ever. An ardent son, Goga ji did not wish to live any longer. It is believed that Gogaji was so taken aback by his mother's disapproval of him, that he got himself buried in the ground with his horse. His place of burial or the 'Samadhi' holds immense significance for Goga Ji followers. The Goga Medi fair is held with much fervor to commemorate the life of the Great Goga Ji Maharaj at Goga Medi. Gogamedi Village is located about 350 to 360 kilometers away from the capital city Jaipur in Rajasthan. If you happen to be visiting Rajasthan, do take out some time to visit this fair and witness the great culture and culinary delights of Rajasthan at the grand fiesta.